It was in 2008 that the State Government in North Bengal, India introduced tea tourism to attract domestic and foreign tourists to the tea plantation areas. 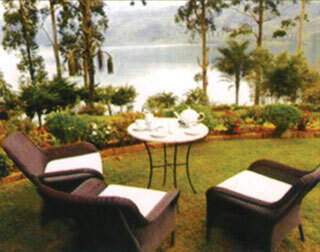 The idea was translated into a plan and implemented following the realisation that tourists who visited Dooars areas had shown interest in staying in the tea gardens to see how tea leaves are plucked and processed apart from the serenity of lush green tea layers and the scenic beauty. Tea tourism is practised in Sri Lanka too, but the potential for the development of this segment is enormous with the strengths Sri Lanka has over others. This article attempts to explore more avenues to develop Tea Tourism in the mountains through public private partnership. 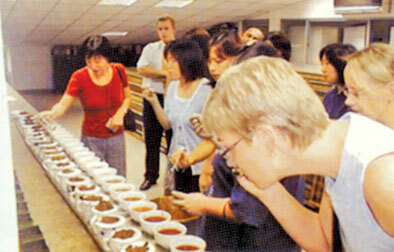 'Ceylon Tea' is a household name in almost all primary tourism markets, secondary segments, and niche markets. Professionals from production to exports in the tea sector in the country have spent a lifetime in careers in the promotion of 'Ceylon Tea' irrespective of their brands and bulk form that was exported for centuries. Awareness of 'Ceylon Tea' has already been established. Buyers and consumers know where the tea comes from. The tourism industry needs to push to strengthen 'Tea Tourism' being practised today to reap the optimum results and benefits, particularly in regard to the focused marketing efforts aimed at the high spending visitors to the country. It would be interesting for tea drinkers in tourist markets to know how their favourite 'Ceylon Tea' reaches their kitchen shelves. Not many still know that the very cup of tea that relieves them of their stress, goes through a process before it is blended, packeted and exported and reaches the household. Primarily, interest needs to be created to give potential visitors' a unique experience. Visitors need to be provided the opportunity of walking through lush plantations, learning about their history while staying at comfortable tea bungalows with the best of comforts, enjoying and interacting with tea workers, plucking tea leaves and visits to tea factories. Most incentive travel groups are given this opportunity, which needs to be extended to other package tours and independent travellers. The idea is similar to the practice of the European 'Wine Tourism' where visitors are given a chance to study the plantation and production process to learn about the wines they taste on most occasions. Those who visit the country for relaxation can choose a location in lush green tea plantations where a tranquil ambience prevails. Some call it simply a heaven to get away from the busy world. Visitors will not travel to mountains at the cost of the beaches. Only a wider choice is offered. The added value is that some may opt to view the 'sunrise' from the top of Adam's Peak which is one of the most beautiful sights of its kind with vivid colours and a spectacular panoramic scene. They would not miss the natural and man-made lakes originating from the hills including Castlereagh, Moussakele, Kotmale, Samanalaweva and Randenigala. The enchanting natural waterfalls also form the most beautiful landscapes one can imagine. The strength is that the cold climes could be reached within five hours from the hot and noisy capital. Also the deliberations to revive tourist trains upcountry will not only resolve the transport issue but also give this much sought after experience to visitors up country. Horton Plains was declared a National Park in 1988 and is the highest plateau in the country. The 'World's End' is visited by a large number of locals. It is desirable to make it 'a must visit place' for tourists too. Horton Plains is surrounded by the best tea growing areas in Uva to the East, Balangoda to the South, Dimbula to the West and the Nuwara Eliya planting region to the North. Another strength is that tea tourism can be targeted at those who visit the country specially to witness life during the British era. A segment of affluent Indians for instance, aspire to experience 'a bit of lifestyle' of the 10 Britishers who were entrusted to look after the tea plantations. A tailored set up, and trained personnel could offer this experience in colonial bungalows. However, with the large number of attractions and locations in the country, it may be difficult to over-emphasise one area in an overall approach for sustainable tourism development, and the time is opportune to look at these segments. It is important to achieve an optimum spread of tourism throughout the country, in which Tea Tourism is definitely a potential area for further development. The scenic beauty of the country could truly be seen during a journey upcountry which would contribute largely to tourists saying that Sri Lanka is truly a beautiful country. Promotional efforts could ride on 'Ceylon Tea' which is a known brand. It is important to strengthen the strategy to offer the visitor an experience which could be taken back as a memory to be shared among friends and relatives. This is a credible source of communication over all other modes and methods. Tea Tourism will cascade economic benefits to the peripherals from the 'young ones' who sell beautiful flowers to passers-by and suppliers to hotels and other accommodation facilities, who are very much a part of the stakeholders of the tourism industry in the country. SriLankan Catering (Pvt) Ltd. has been appointed to manage the new Serenediva Transit Hotel at the Bandaranaike International Airport (BIA), in a further diversification of services by the SriLankan Airlines Group. The 24-roomed hotel on the upper floor of the BIA terminal is already in operation. It is designed to provide rest and relaxation for passengers in transit through BIA as they await their onward flight. Facilities include four types of rooms, a full-fledged Business Centre and a fabulous Spa equipped with sauna and Jacuzzi. CEO of SriLankan Catering, Sarath Fernando, said, "Our transit hotel is a showcase of the country to transit visitors. Sri Lanka with her rich history, culture and natural beauty has many stories to tell to enchant travellers. Serenediva will provide travellers with a first glimpse of Sri Lanka, giving them a chance to experience the country without having to step outside the airport. The name 'Serenediva' itself is intended to evoke a vision of the isle of Serendib, to subtly persuade visitors to return for a longer visit." Serenediva is a place where one can touch, feel, smell, learn and explore Sri Lanka even fleetingly, with wall hangings and murals depicting interesting sights of the country; Sri Lankan fusion food on offer with local spices and textures; room interiors decorated with local handicrafts; local blends of tea and coffee, plus local fruits and flowers. The hotel's logo includes the exotic Kadupul flower, the legendary flower of the Nagas, often seen in Buddhist temple drawing. It is believed that when these flowers bloom, the Nagas come down from their celestial abodes to offer them to Lord Buddha on Sri Pada. The rooms include eight top of the range Super Deluxe with kumbuk flooring, mahogany furniture, and a bathtub for a long relaxing soak. 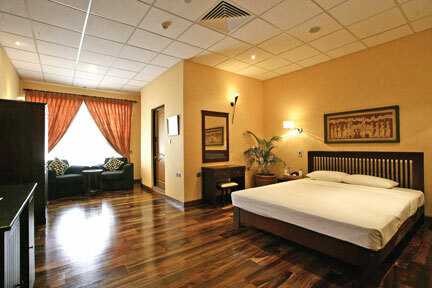 There are also four Deluxe Rooms which are double rooms intended for families. The eight Deluxe-A rooms contain double beds, while the eight Deluxe-B rooms are equipped with single beds for lone travellers. The biggest German airline, Lufthansa, said Wednesday it had named Christoph Franz as its new chairman and chief executive officer, a post that will mean devising a strategy to fight off low-cost carriers. Franz, who heads the airline's passenger division, will succeed Wolfgang Mayrhuber, Lufthansa's current chairman of the executive board and CEO, a statement said. "The appointment will be effective from January 2011, for a term until May 2014 in accordance with German stock corporation law," it added. Franz, 50, will be tasked with maintaining Lufthansa's position as Europe's leading airline by passenger numbers against growing competition. Franz has been heir apparent to Mayrhuber, Lufthansa head since 2003, for several months. After studying in Germany, France and the United States, Franz joined Lufthansa in 1990, before moving to the German railway Deutsche Bahn four years later where he gained executive experience. He came back to the airline group in July 2004 as CEO of Swiss, a subsidiary he restructured and returned to profit. Franz joined Lufthansa's executive board in June 2009 and was placed in charge of its passenger airline business. Lufthansa said Carsten Spohr, currently head of its logistics unit Lufthansa Cargo, would replace Franz as head of passenger operations. German press reports have said Franz holds strong opinions and has a direct management style. In addition to Swiss, the Lufthansa group includes Austrian Airlines, BMI, Brussels Airlines and the regional German carrier Germanwings. Business has been picking up for Lufthansa as the airline sector rebounds from a global economic slump and the eruption of an Icelandic volcano in April, but low-cost carriers have eaten into the German airline's European market share. Europe laid out Tuesday strict conditions for the exchange of airline passenger data with the United States, Canada and Australia, insisting it should be restricted to terror and criminal probes. The European Union's executive arm adopted proposals on swapping passenger name record (PNR) data with third countries in an effort to ease concerns about privacy rights. "PNR data has proven to be an important tool in the fight against serious transnational crime and terrorism," said EU home affairs commissioner Cecilia Malmstroem. "But at the same time, it raises important issues about protection of personal data," she said. The European Commission proposals follow the resumption in August of a banking data sharing scheme with the United States that had been suspended for months over privacy concerns raised by the European parliament. A provisional EU-US agreement on passenger data is in operation, but the European parliament has postponed a vote on them as lawmakers have demanded modifications. In Washington, State Department spokesman Mark Toner said the United States believed that the current guidelines already met the concerns of all sides. "We obviously want to ensure safe and secure air travel to the United States, but we also want to respect passengers' right to privacy," Toner told reporters. "We think that the current agreement that's under discussion right now satisfies both those rquirements, so we would just ask them for passage of that agreement," Toner said.A deal on passenger data is crucial for European airlines since the transfer of such information is a condition for flying to the United States, a country still marked by the 2001 plane suicide attacks in New York and Washington. The European Union also has a provisional agreement in operation with Australia that is awaiting a vote. A deal with Canada must be renegotiated because certain legal commitments have expired. The European Commission said any new agreements on sharing PNR data should be used "exclusively to fight terrorism and serious transnational crime". Indonesia said Wednesday it will put on hold the sale of almost a third of shares in national carrier Garuda Airlines until the start of next year. Jakarta had planned to kick off an initial public offering of up to 30 percent of Garuda from the fourth quarter of this year. But it has been delayed to allow the offering to be put together using more up-to-date information based on Garuda's September financial report, which is currently being audited. "We expect to sell the Garuda stake in the second week of January and list the shares on the Indonesia Stock Exchange the following month," said state enterprise deputy minister Machmuddin Yasin, according to Dow Jones Newswires. "We also hope that the market situation will be much better early next year," he added.